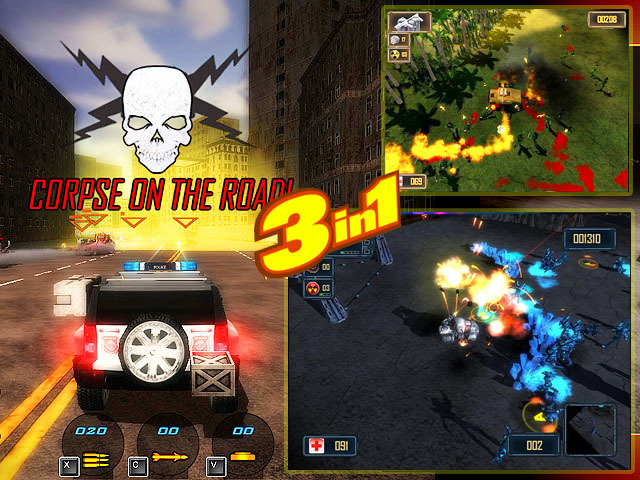 A set of three games of combat vehicles - Apocalypse Motor Racers, Alien Strike and Jungle Strike. Choose your car, equip it with a deadly weapon and start your race. All you need to win - is to destroy a huge number of armed cars, powerful alien robots and a large army of the enemy. Daredevils from different corners of the world drive to victory through the wrecked cars of their competitors in this deadly racing. Destroy the bases of the aggressive aliens for the sake of humankind. Drive your Humvee through enemy bases in the jungle and find all the secret documents. First-person shooter. Every now and then there have been reports of outbreaks . A-PDF Watermark 6.4: Add manipulate watermarks to Acrobat PDF documents. AhaView 4.54: Browse, view, organize and convert your digital images with AhaView Abex PDF to Flash Converter 3.9: It is easy-to-use and provides the best way to convert PDF to SWF flash A-PDF Restrictions Remover 2.8.5: Remove password and restrictions of PDF files in a few seconds.